Grass Fed Beef is essential for a healthy diet. At PC Greens, our beef is source of the best grass run farms. Conventional beef comes from a diet of grains, such as corn, which has more fat and less vitamins. Grass fed beef is full with nutritional value. 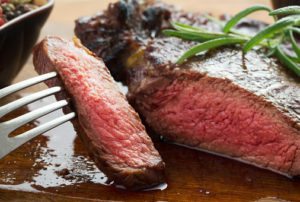 This beef is the best out there. Our two providers are Grass Run Farms and Aspen Ridge. Both offer the best quality meat, delivering the healthiest diet. Our delicious gras fed beef is more tender and flavorful than conventional beef. The art of grass fed farming goes beyond the pasture. It requires the healthiest soils and a tranquil environment. Both providers work with experienced farmers who cultivate nutritious pastures for the cattle. They raise natural high quality grass fed beef. It’s tenderness and richness in flavor will amaze you. The cattle never receives antibiotics or added hormones, allowing a natural growth. This is beef you will never forget. Why you need to choose grass fed beef and not conventional beef? Grass feed beef contains less total fat than grain fed beef. This means fewer calories in your diet. Grass fed beef also contained less saturated fats and contains “healthy” fasts. The saying “you are what you eat” is very true when it comes to cows. Grass fed beef contains fatty acids that are related to reduced body fat and other beneficial effects. Vitamin E is an excellent source of antioxidants. 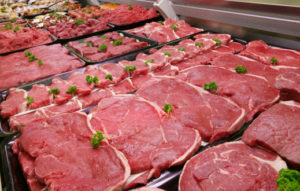 Grass fed beef contains more vitamin E than grain fed beef. Vitamin E has a variety of health benefits that helps your body. It balances the cholesterol in your body, it repairs damaged skin, it helps prevent different heart diseases as well as helps in the function of several organs in your body. Cows that are not grass fed, are typically given hormones that unnaturally increases their health. Grass fed beef is healthier and creates a lower calorie diet. It is organic cattle that is grown 100% natural. Beta-carotene works as an antioxidant for your body. 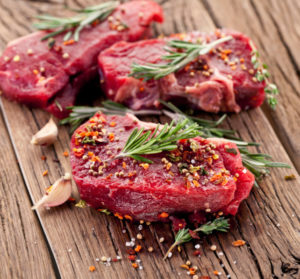 Grass fed beef contains beta-carotene which plays a vital role in a healthier skin as well as eye health. It also reduced the risk of stroke and age-related diseases. Grass fed beef is not only better for your body, but also for the environment. It decreases greenhouse gas emissions, improving the quality of the pasture, soils, and water. 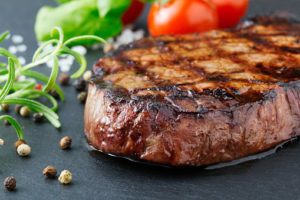 Grass fed beef has been proven to reduce carbon emissions, helping the environment. Grass fed beef not only is beneficial for your health, but it also promotes a proper treatment of cows and of the environment. Choose grass fed beef and live a healthier life. Grass fed beef is a powerful step towards a better self and better world. Grass fed beef is the safe and best option.